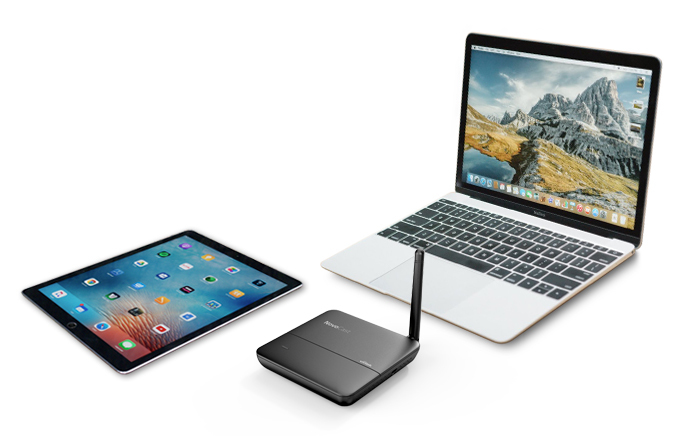 NovoCast, the newest member of the NovoConnect™ wireless presentation system and Wifi collaboration solution, now aims to bring a smarter and more effective collaboration solution to K-12 classrooms and even for small offices. Intuitive and cost-effective, NovoCast provides teachers and student presenters with a multitude of file-sharing, annotation, and moderation tools to conduct effective and inclusive lectures, discussions, and presentations. NovoCast support up to eight users per session and display quad-view screen sharing. 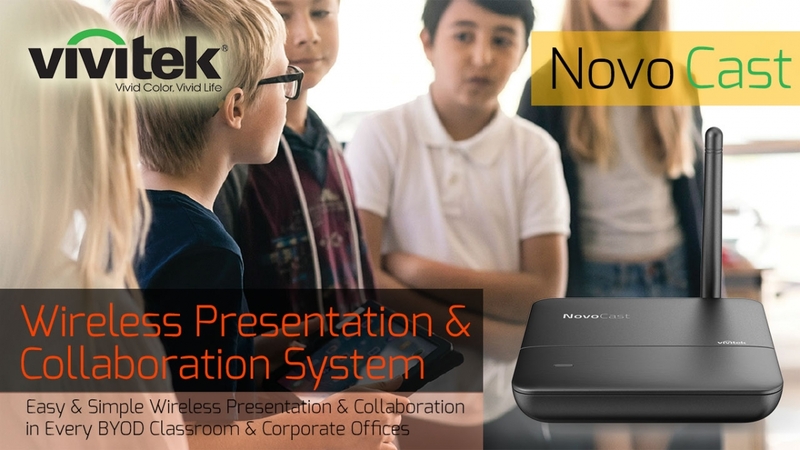 NovoCast, the newest member of the NovoConnect™ wireless presentation system and Wifi collaboration solution, now aims to bring a smarter and more effective collaboration solution to K-12 classrooms and even for small offices. Intuitive and cost-effective, NovoCast provides teachers and student presenters with a multitude of file-sharing, annotation, and moderation tools to conduct effective and inclusive lectures, discussions, and presentations. 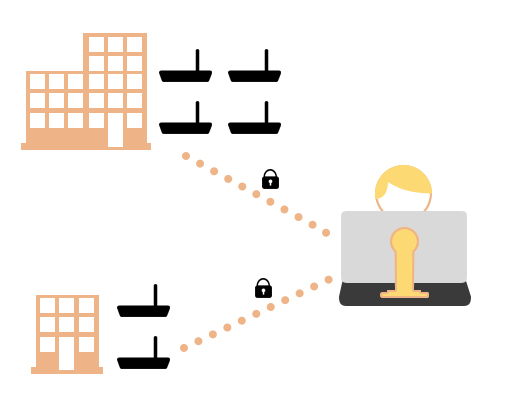 A cable and clutter-free BYOD system, NovoCast enables multiple users to share their device’s screen, regardless of platform or operating system. To ensure that collaboration is never impeded by incompatible technologies, NovoCast boasts cross-platform support of Windows, Mac, Android, iOS, and Google devices. This allows educators and students with practically any device to share what they are viewing simultaneously across a single display. 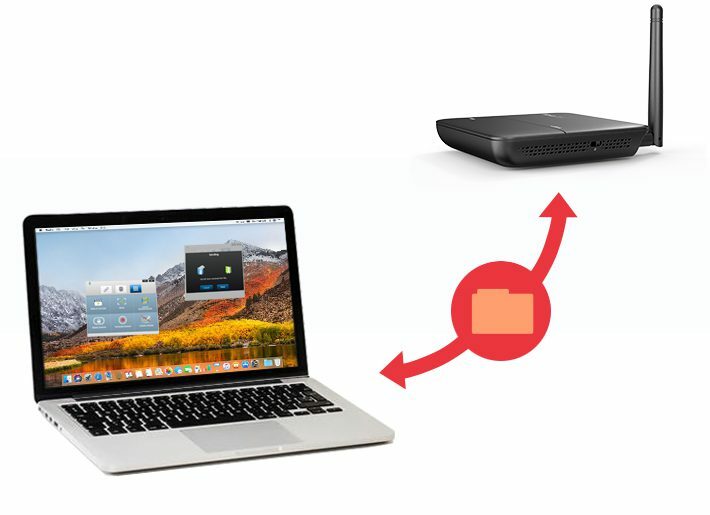 Thanks to the widespread popularity of iOS and Android devices, AirPlay and Google Cast have established themselves as the go-to methods for screen mirroring and content streaming. 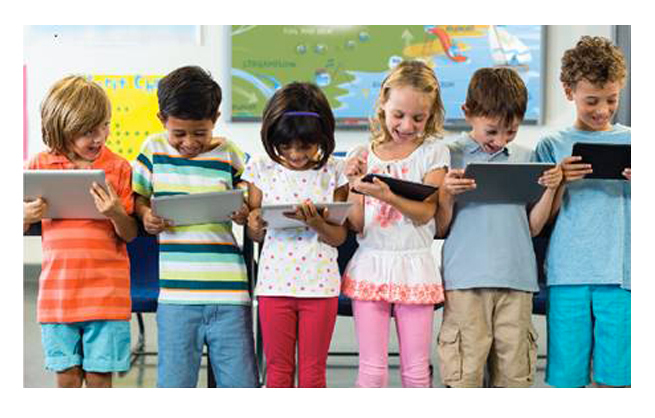 NovoCast fully supports both standards to accommodate virtually every device brought into classrooms today. In addition to being capable of supporting up to eight users per session, NovoCast also boasts quad-view screen sharing. 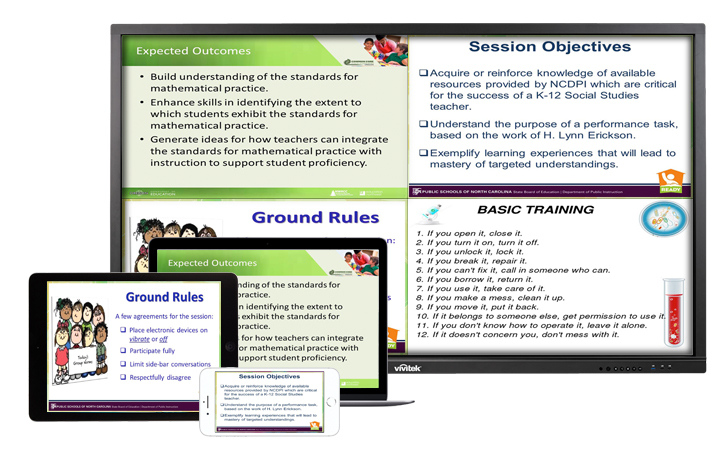 Ideal for comparing and contrasting different content, quad-view screen sharing enables educators and student presenters to simultaneously view four different screen sources side-by-side. To empower educators with the tools they need to lead and maintain control over their lectures, NovoCast features intuitive moderation and screen preview functionalities. These tools serve to structure, focus, and streamline presentations, resulting in more productive and collaborative classroom discussions. Beyond screen mirroring and content streaming, NovoCast also features indispensable collaboration tools to further enhance lectures, seminars, and presentations. Wireless file-sharing allows for convenient relaying of digital assets while AirNote enables users to annotate projected screens on their own device. Especially useful for school and district-wide deployments, NovoCast can be centrally accessed, updated, and operated via the Remote Manager application. Free-to-download and update for Windows and Mac computers, Remote Manager enables network-wide control over NovoCast units connected to the same network.